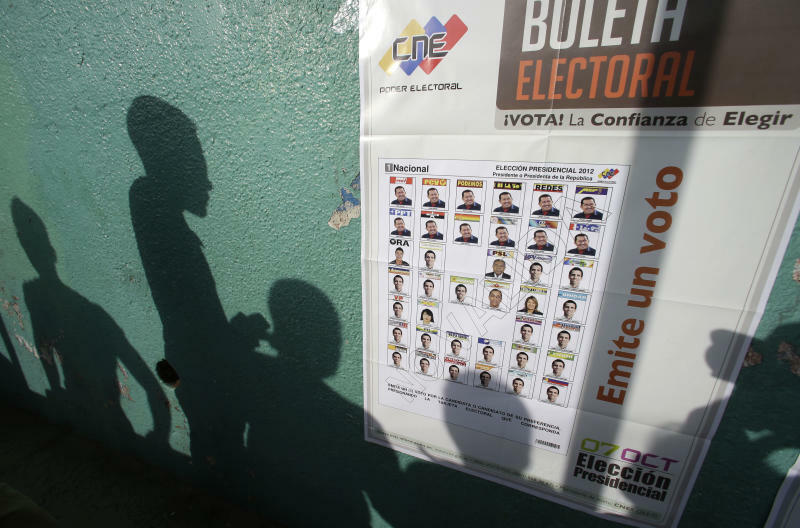 Both camps said turnout was high, with millions of Venezuelans casting ballots. 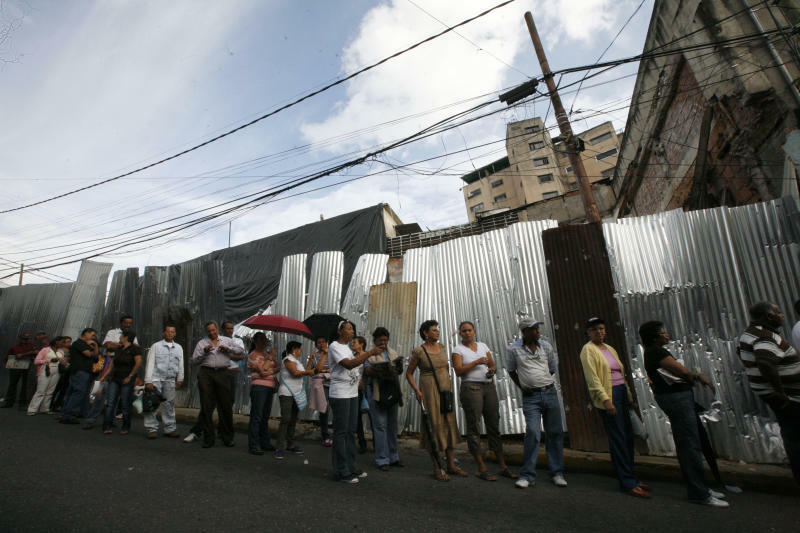 Long lines formed at many polling centers, with queues of hundreds of voters snaking along sidewalks and around blocks in many parts of Caracas. Chavez's challenger, Henrique Capriles, has united the opposition in a contest between two sides that distrust each other so deeply there were concerns whether a close election result would be respected. 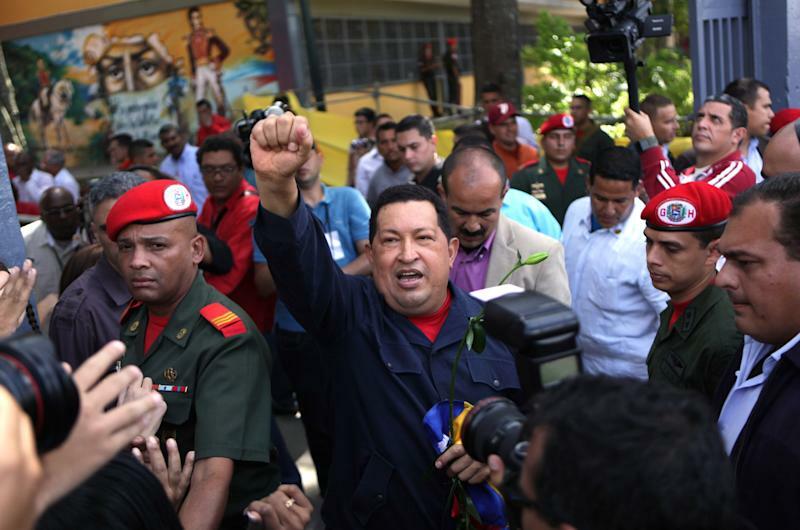 "We will recognize the results, whatever they are," Chavez told reporters after casting his vote in Caracas. Chavez was greeted at the polling center by American actor Danny Glover and Guatemalan Nobel Peace Prize laureate Rigoberta Menchu. He said he was pleased to see a "massive turnout." With a Capriles win, an abrupt foreign policy shift can be expected, including halting preferential oil deals with allies such as Cuba, along with a loosening of state economic controls and an increase in private investment. A tense transition would likely follow until the January inauguration because Chavez's political machine thoroughly controls the wheels of government. Some Venezuelans were nervous about what might happen if disputes erupt over the election's announced outcome. "There's a little anxiety on one side and also on the other," said Deyanira Duarte, a housewife who voted for Capriles in downtown Caracas. She said she was worried about what could happen if there were a dispute. Others said they were simply pleased to be out backing their candidate. Carlos Julio Silva, a bodyguard employed by a private security company, said whatever his faults, Chavez deserves re-election for helping people with programs including free medical care and public housing. "There is corruption, there's plenty of bureaucracy, but the people have never had a leader who cared about this country," Silva said after voting for Chavez at a school in the Caracas slum of Petare. "That's why the people are going to re-elect Hugo Rafael Chavez Frias." Chavez's critics say the president has inflamed divisions by labeling his opponents "fascists," ''Yankees" and "neo-Nazis," while Chavez backers allege Capriles would halt generous government programs that assist the poor. Reveille blared from sound trucks around the capital to awaken voters on Sunday morning, and the bugle call was later replaced by folk music mixed with a recording of Chavez's voice saying "those who love the homeland come with me." At many polling places, voters started lining up hours before polls opened at dawn. Some said they waited in line for more than four hours to vote, while in other areas the lines moved more quickly. Defense Minister Henry Rangel Silva said as he voted that all had been calm in the morning and he hoped that would continue. He said if any groups try to "disturb order, they should know there is an armed force prepared and equipped and trained... to put down any attempt at disturbances." He didn't identify the groups to which he was referring. Chavez held an impromptu news conference Saturday night, and when asked about the possibility of disputes over the vote, he said he expected both sides to accept the result. He says he has successfully emerged from about a year of cancer treatment. The 40-year-old Capriles, a wiry former governor affectionately called "Skinny" by supporters, has infused the opposition with new optimism, and opinion polls pointed to him giving Chavez his closest election. Some recent polls showed Chavez with a lead of about 10 percentage points, while others put the two candidates about even. Chavez accumulated near-absolute power over the past decade thanks to his control of the National Assembly, pliant institutions such as the Central Bank and friendly judges. Gino Caso, an auto mechanic, said he would vote for Capriles because he thought Chavez was power-hungry and out of touch with problems such as crime. He said his son had been robbed, as had neighboring shops. Associated Press writers Frank Bajak, Christopher Toothaker, Jorge Rueda and Vivian Sequera contributed to this report.